At GEDA USA, we understand your growing need for safe, reliable vertical transportation of the personnel, tools and materials required for bridge inspection and servicing. Manufacturer of state-of-the-art rack & pinion elevators, GEDA designs a variety of rugged products trusted by bridge engineers and maintenance teams worldwide. 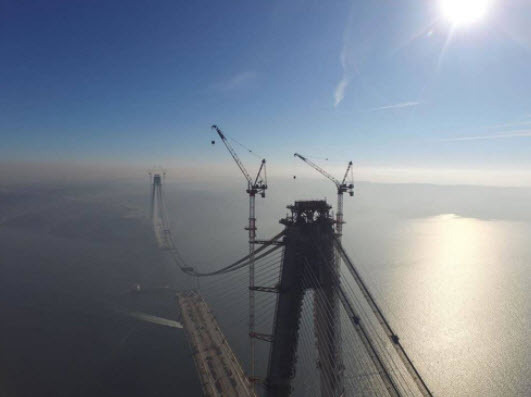 Modern suspension bridges are required to be light and durable, and are often built with tall and inclined towers that are difficult to access during cable and general maintenance inspections. 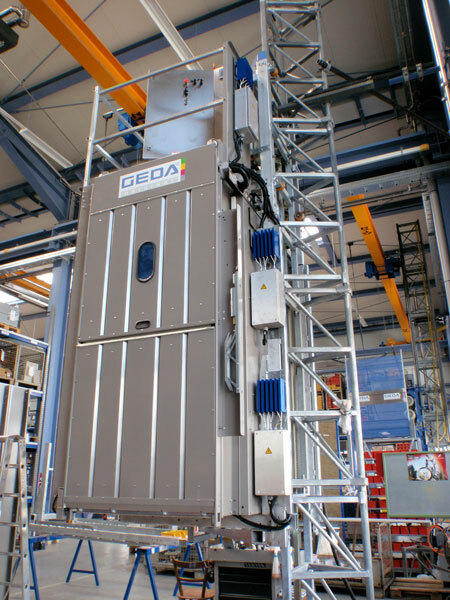 To solve your access problems, GEDA USA offers our modular SH personnel elevator with a rack & pinion drive system. 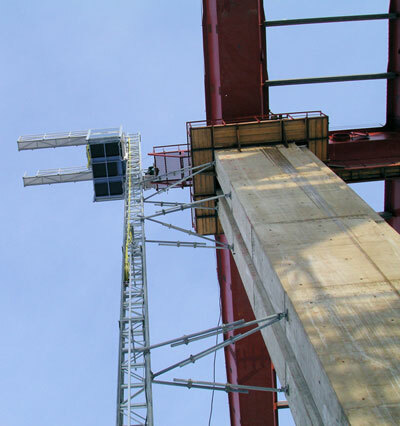 Designed with controls and drive assemblies on top of the cab, the SH elevator requires a minimum hoistway—and is ideal for meeting the challenges of contemporary bridge access. Choose from a variety of standard and custom platform dimensions, with hoist and lift capacities ranging from 650 lbs. to 8,000 lbs and available lift speeds of up to 200 ft/min. GEDA meets all industry codes and safety guidelines, and can be certified to meet ANSI A17.1 and EN-81. GEDA is also ISO 9001:2008 compliant, and is a proud member of the German Engineering Federation (VDMA). For more information about SH personnel elevators, or to inquire about permanent and temporary installation solutions, contact our manufacturing team today.